If you haven’t already noticed, flip cover cases are all the rage. All the hottest smart phone manufacturers are releasing their own official cases like the HTC One (M8) Dot View Case, Galaxy S5 S View Cover, and LG G3 Quick Circle Window. The only problem is these accessories are way out of the budget of most smart phone buyers. Who can justify spending forty dollars on a simple LG G3 Flip Cover anyway? In this article we’ll be covering some of the best LG G3 Flip Cover Cases under $20. Quite honestly, you’ll find that sometimes the least expensive accessories offer the greatest amount of functionality. The Verus Flip Cover for the LG G3 is one of the best out on the market. It’s comprised of a high quality leather that feels much higher end than the price tag would indicate. The stitching around the edging of the case feels solid and it doesn’t feel cheap. Most inexpensive LG G3 accessories will be made of a PU or fake leather, but this one feels premium. When it comes to the design of the Verus Flip Cover, it’s second to none. The front flap isn’t flimsy like other third party cases, and the case just ‘feels right’. I also found the Smart View feature to work fine, despite some reviews that stated otherwise. At the moment the Verus Flip Case can only be purchased in three colors – black, brown, and red – but hopefully more will be on the way. 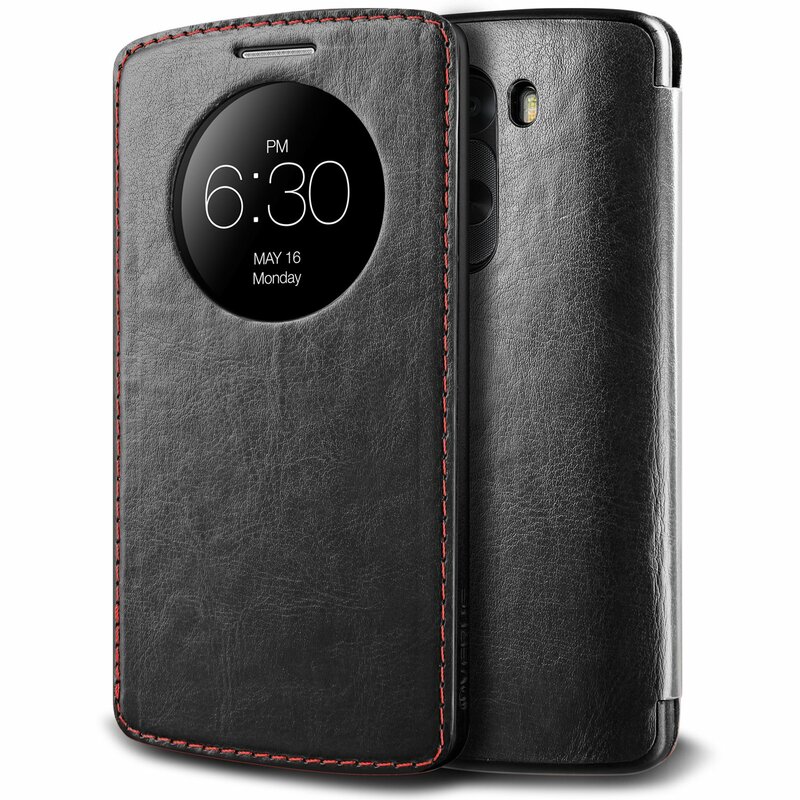 If you’re interested in picking up the Verus Flip Cover Case for the LG G3 then you can find a link to purchase it below. Anyone in the market for a solid flip cover for the LG G3 should take a serious look at the Poetic FlipBook. It doesn’t offer the same smart view functionality that the Verus or official covers do, but it brings some cool features to the table. Probably my favorite thing about the Poetic FlipBook for LG G3 is the material of the case. It’s made of a brushed synthetic leather that gives it a nice grippy feel in the hand and also looks nice. 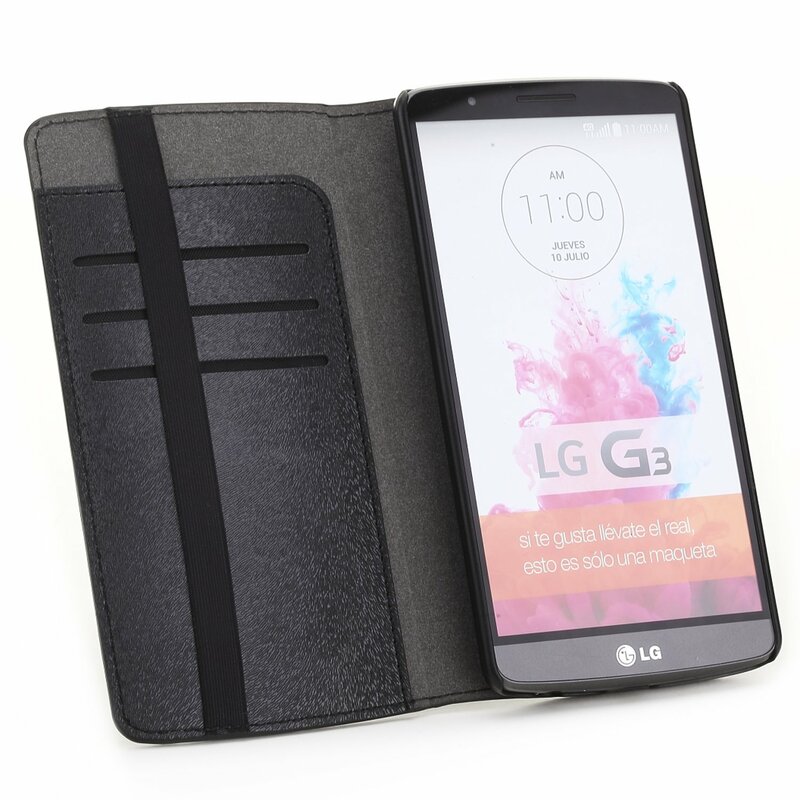 Inside the cover you’ll find a hardshell piece that will keep the LG G3 snapped into place. I’ve found that it’s a bit tough to take the G3 out, but it’s not necessarily a bad thing. The Poetic FlipBook is an extremely functional case for the LG G3. It combines a thin profile, nice design, and sleeves for your money all into a product under fifteen dollars. If you’re interested in more info, the product page can be found below. The Fintie Smart Circle Case is one of the best flip covers on the market. It’s made of a tough leather outer binding that feels more solid than the Verus, but isn’t quite as high end. The leather does a good job of keeping away fingerprints and grease marks so you won’t need to clean it off. 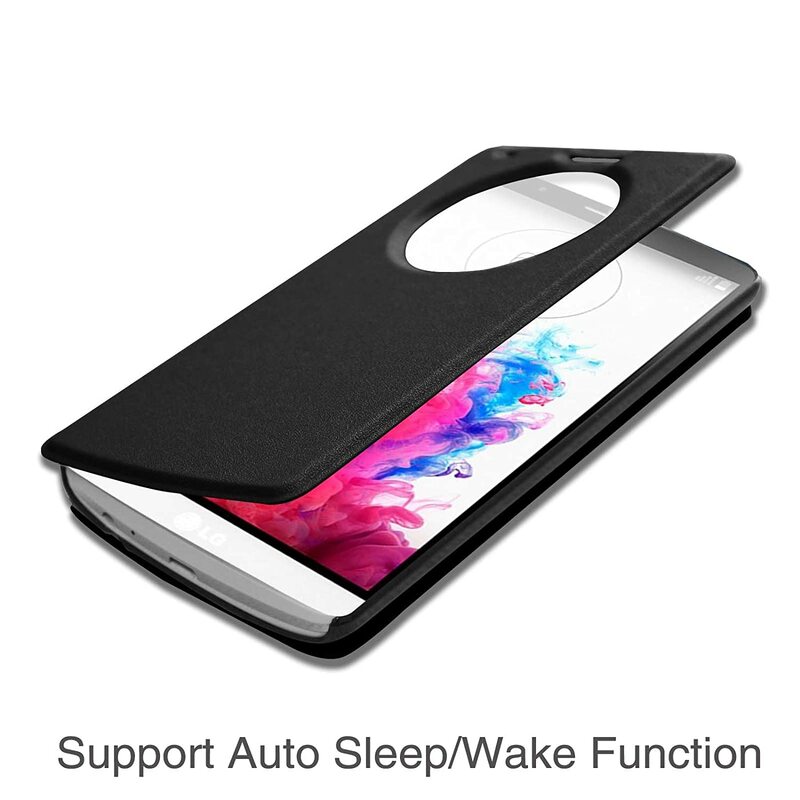 One of my favorite things about the Fintie Smart Circle Case for LG G3 is that it has a magnetic strip to trigger an auto wake / sleep feature. If you aren’t familiar with it, just imagine the iPad’s smart cover. Along with the ultra thin design, Fintie’s Smart Circle Case also gives the same smart view functionality that’s in the official LG G3 Flip Case. The Fintie Smart Circle case can be picked up in eight different colors and costs only six dollars. If you’re interested in more info on this particular product, you can find the links below.